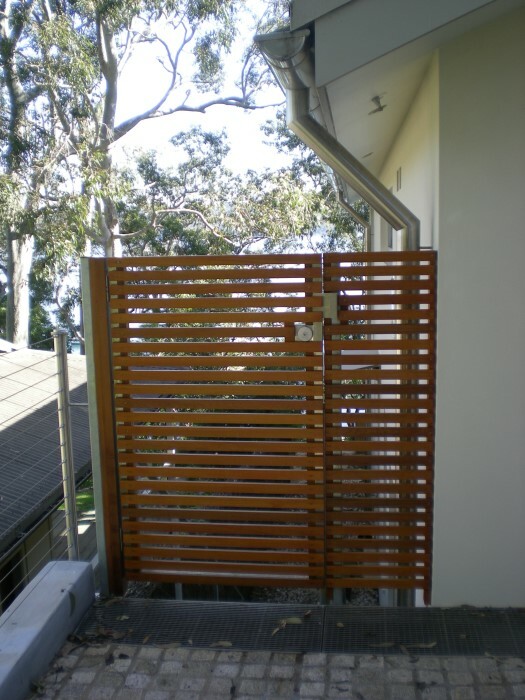 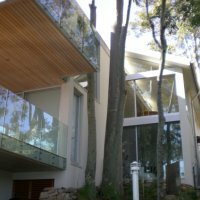 During this project we worked closely with our clients as they were the architects as well as the occupier of this beautiful home on the Northern Beaches. 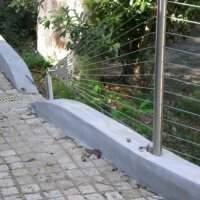 316 grade stainless steel round bar and flat bar was painted to compliment the external steel beams and to withstand a marine environment. 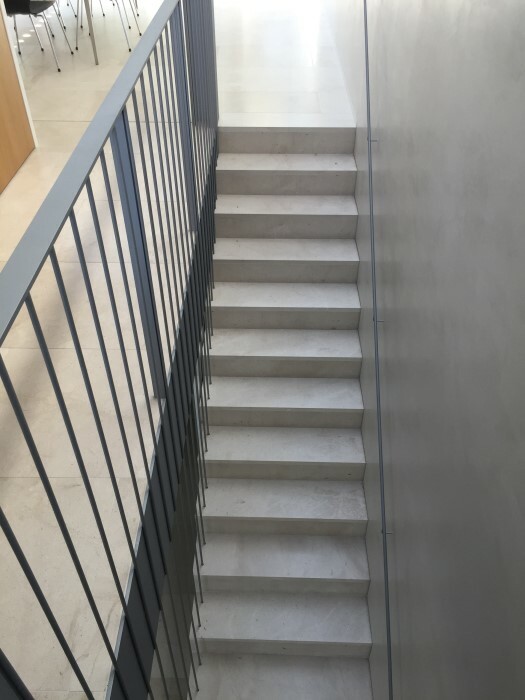 “We have been working with Bacsoon for many years and are pleased to recommend Michael and his team as they are not only excellent tradesman but also very reliable. 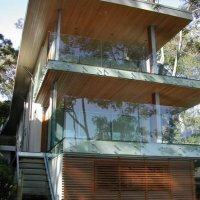 Nestled among the trees this beautiful home is exposed to the coastal elements,316 grade stainless steel was used throughout. 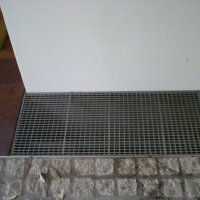 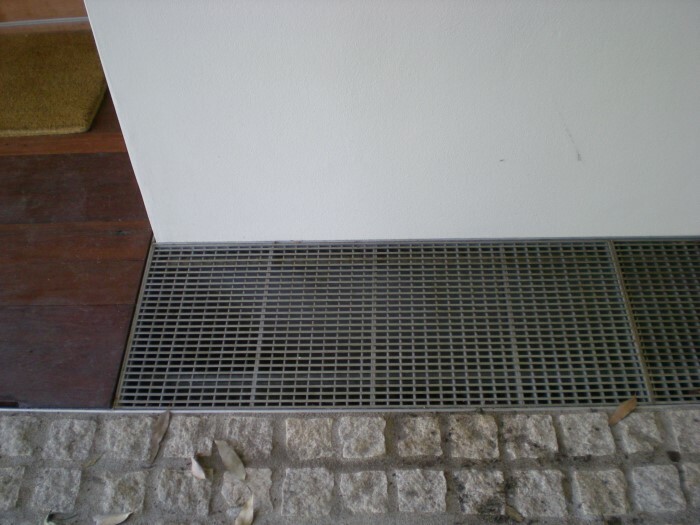 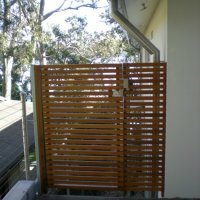 Downpipes, balustrade, and grates. 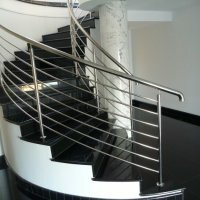 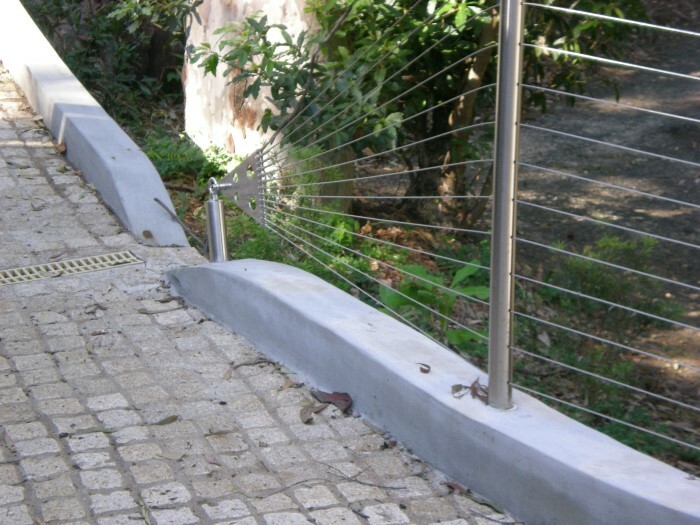 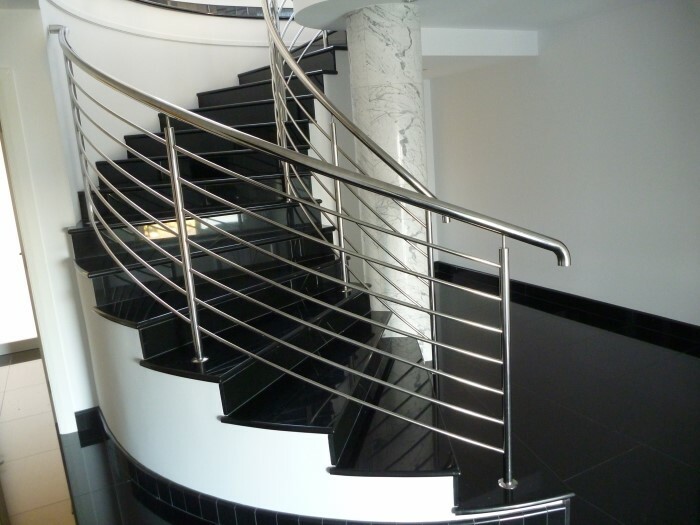 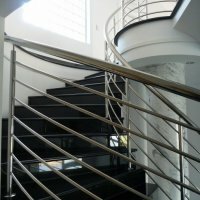 “We have no hesitation in recommending Bacsoon Customising for quality steel fabrication and other related works. 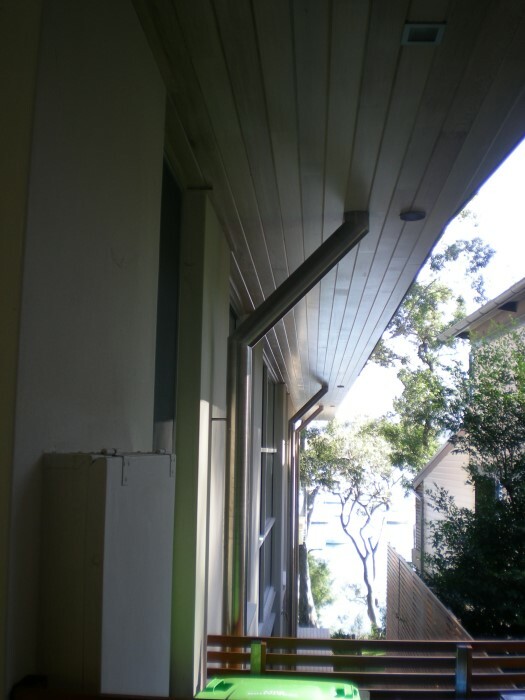 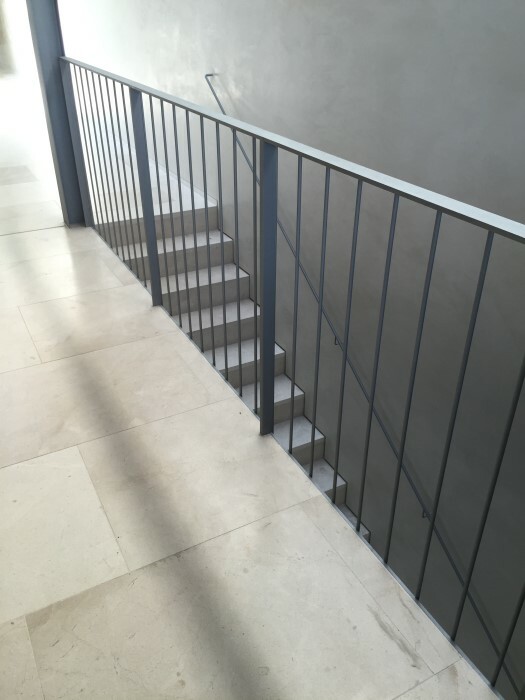 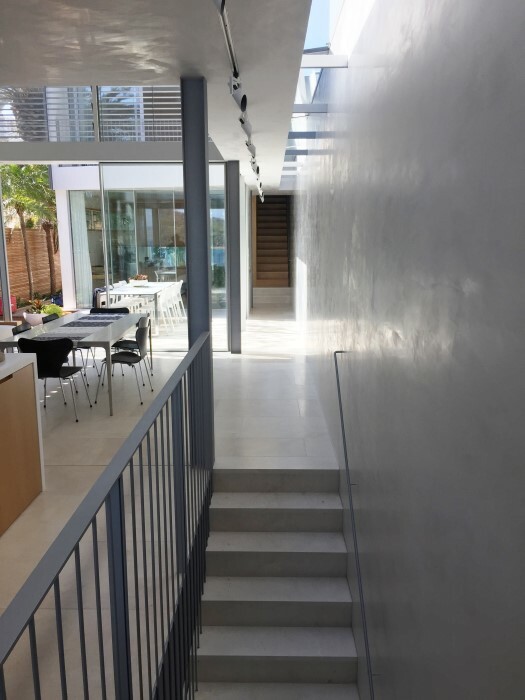 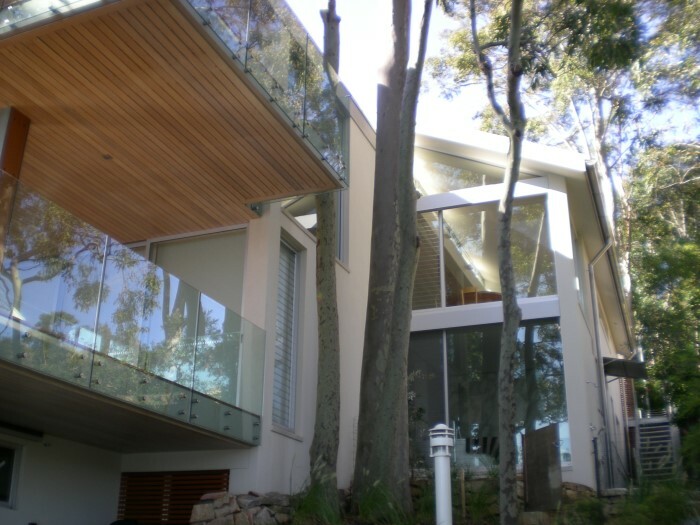 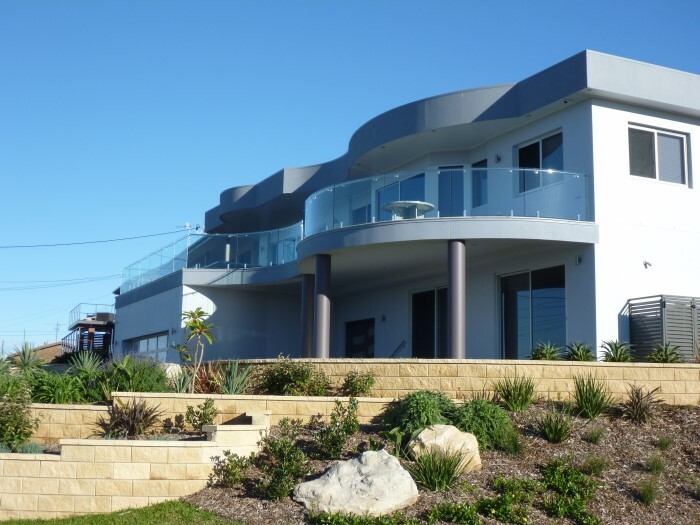 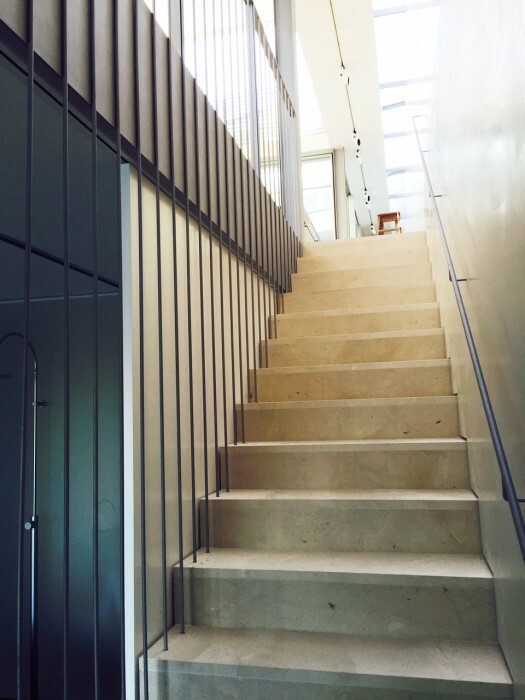 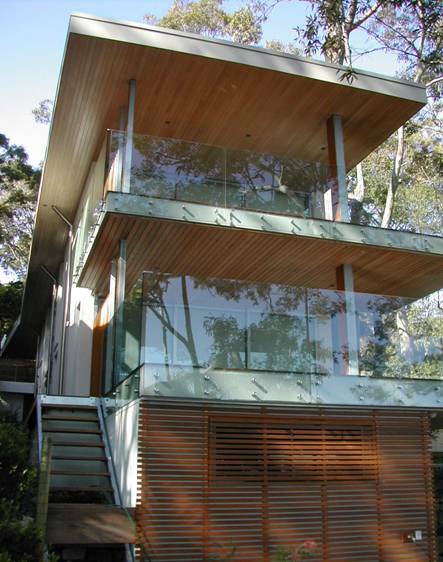 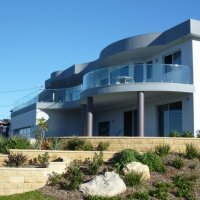 We wanted high quality, low maintenance house in a marine environment, designed around extensive use of stainless steel work and glass balustrade, this work often included extensive design input to ensure attractive, yet practical, outcomes. 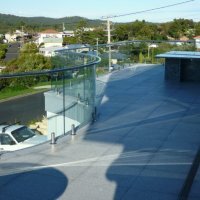 All their work was very high quality and the service was outstanding: Supply was on time and within budget." 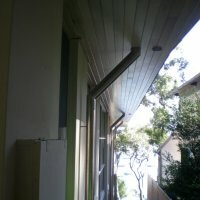 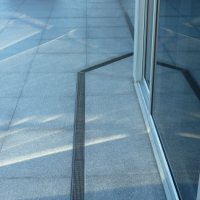 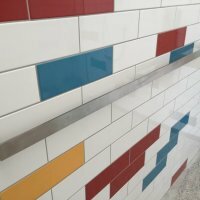 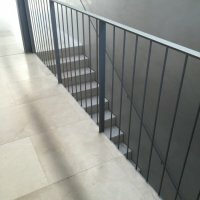 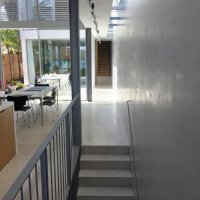 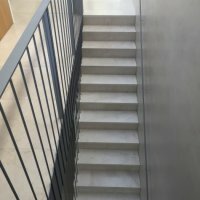 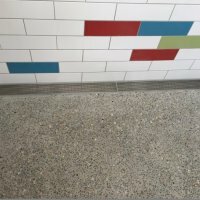 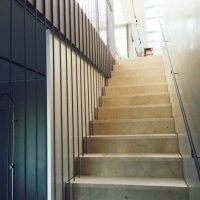 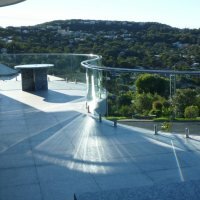 This unique property with its curved surfaces, gave our team a challenge. 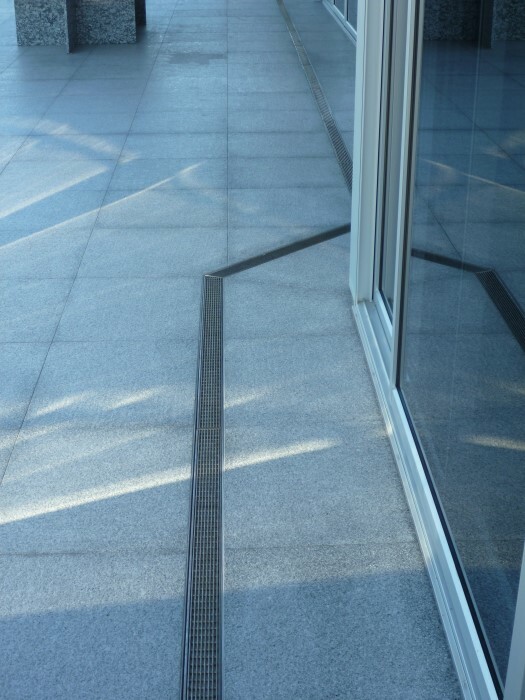 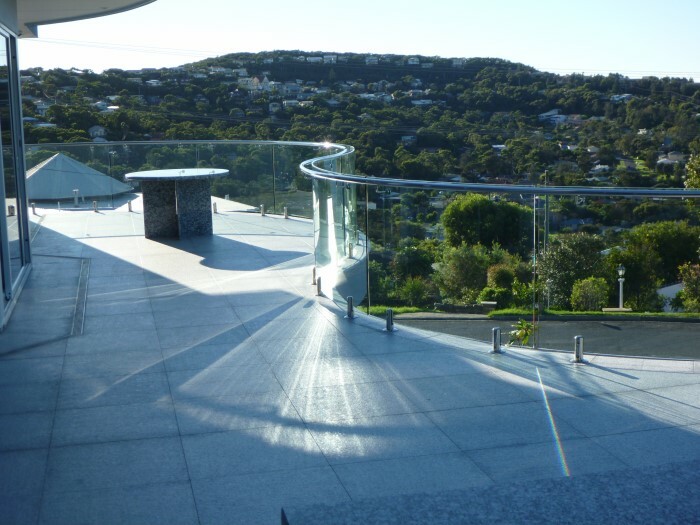 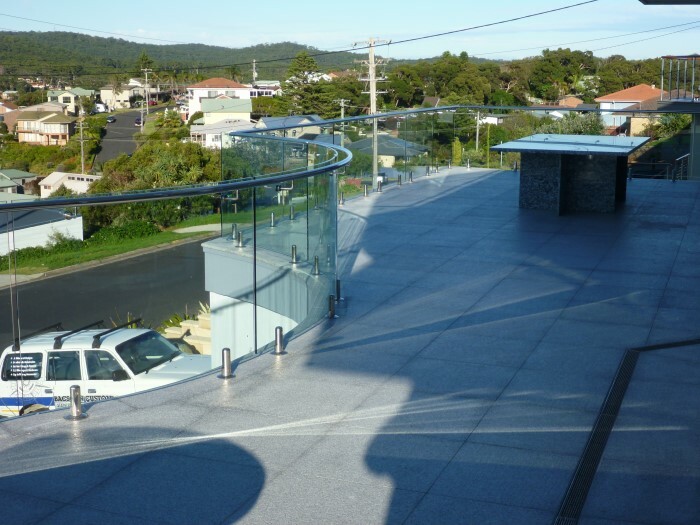 For the balcony balustrade, we used curved 12mm toughed glass, electropolished spigots and electropolished threshold grates, due to south facing marine environment. 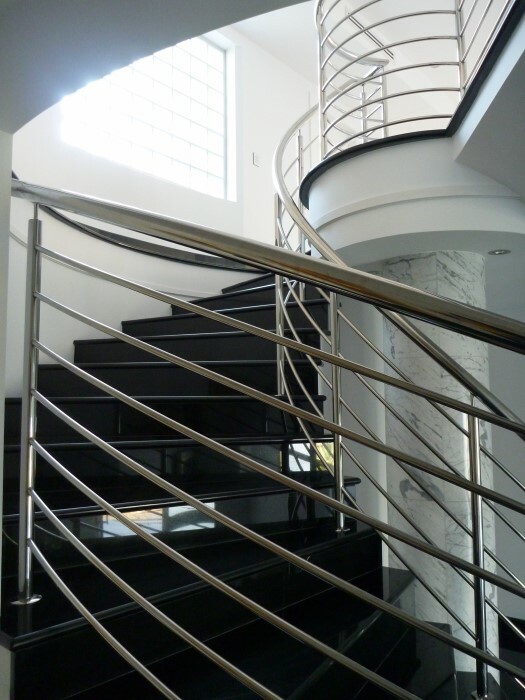 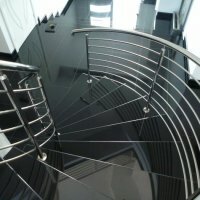 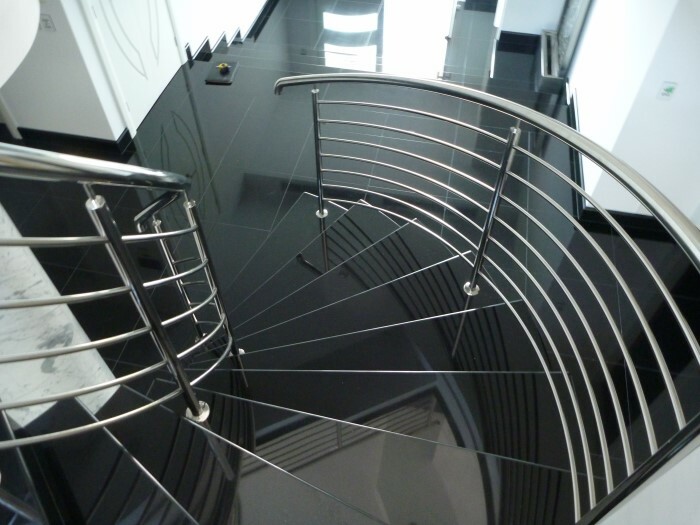 Internal curved staircase, mirror finish to compliment the black marble. 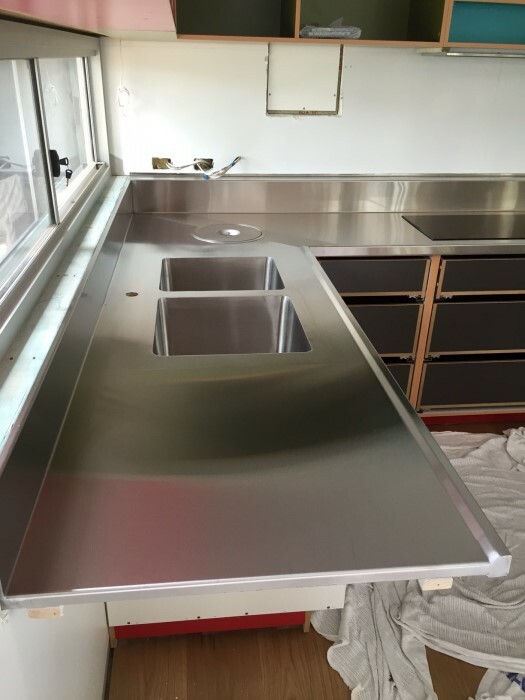 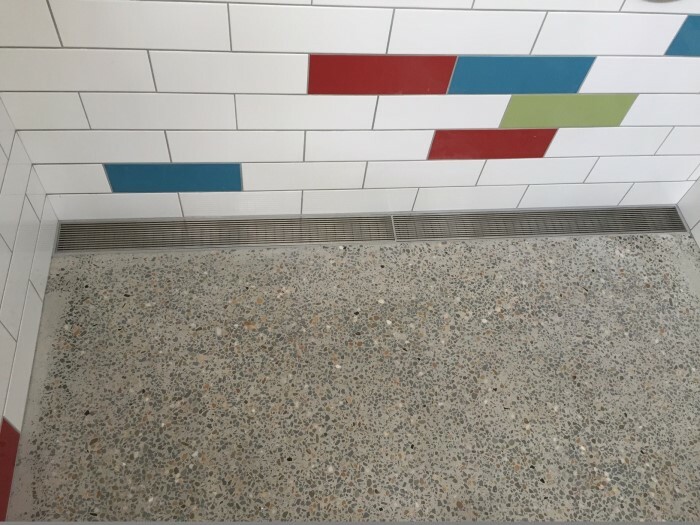 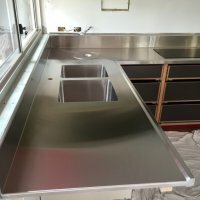 Working closely with our client and builder on this project, we fabricated a totally custom fully intergrated stainless steel bench top with trash bin, and non drip edge. 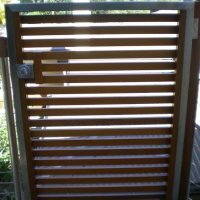 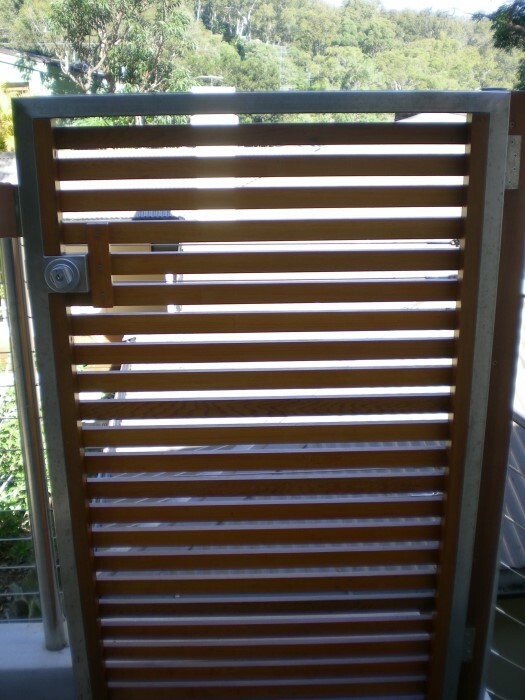 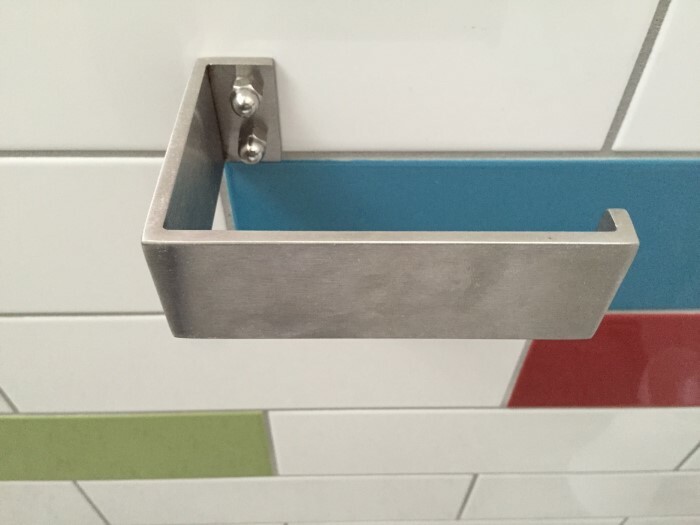 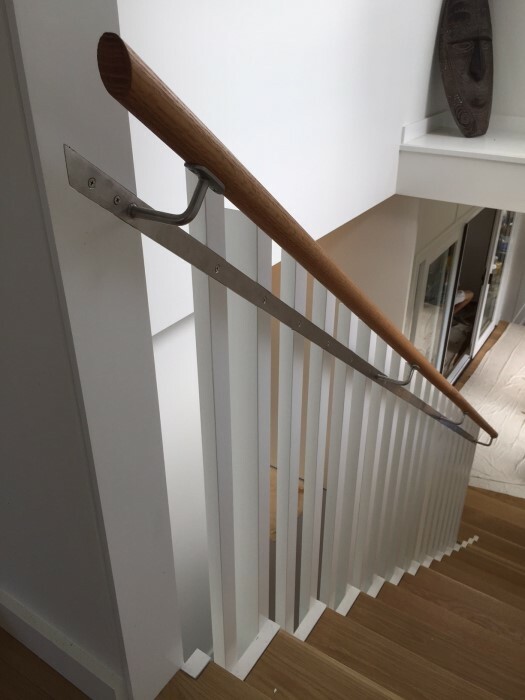 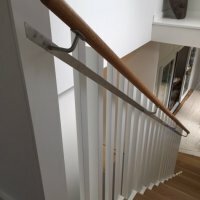 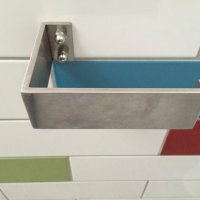 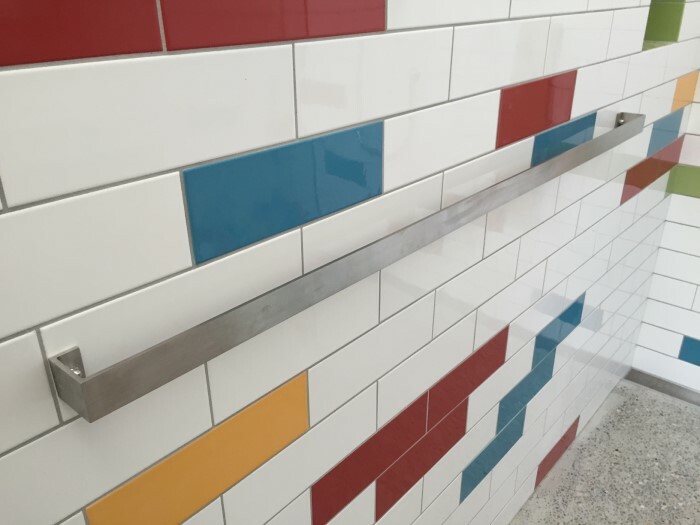 Custom made bathroom bespoke, custom lineal grate, and internal handrail fixings.